Repeat after me: There is no fear in fat. Egg yolks are good. Saturated fat from coconut is healthy. 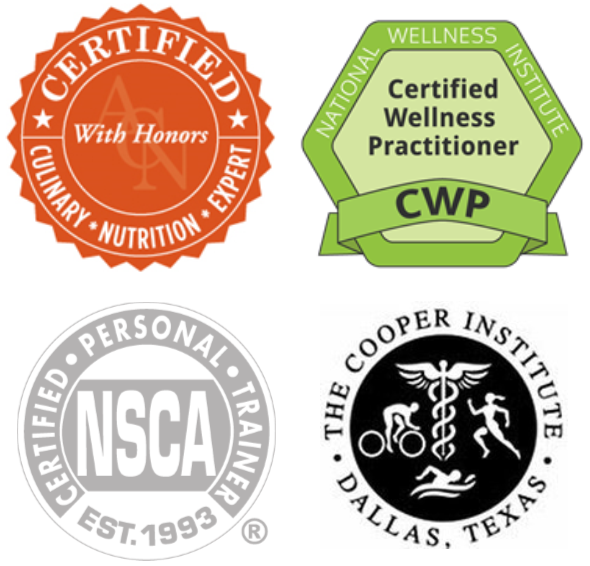 Your body needs it for fuel, and is the preferred fuel for optimal brain function. The great thing about this recipe is the addition of gelatin which supplies collagen, the structural protein that improves hair, skin, and gut health. I’ve given a few batches of these to a friend with stage 4 pancreatic cancer who didn’t have a taste for much at the beginning of her chemo treatments, and this was one of the few things she could tolerate. 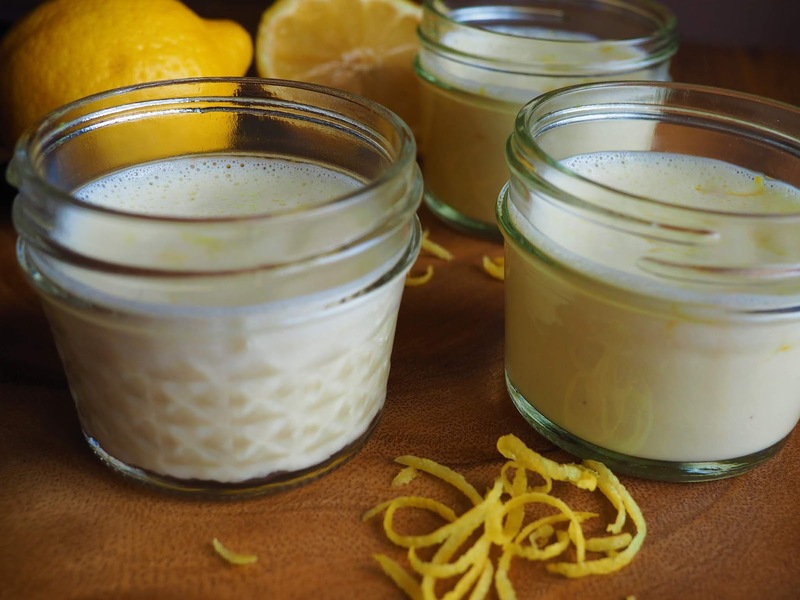 This version was adapted from Meghan Telpner’s Dairy-Free Maple Cream Custard Cups, but the lemon zest has been a huge hit. Whisk together egg yolks in small bowl and set aside. Heat coconut milk, honey, vanilla, and nutmeg in a saucepan on medium heat for about 5 minutes, stirring occasionally. Add about a half cup of the hot coconut milk mixture to the egg yolks to thin, so that when the yolks are added to the saucepan, they don’t immediately curdle. Pour the egg yolk and coconut mixture into the sauce pan and whisk until combined. Wisk until the mixture starts to thicken, about 5 minutes. Transfer the warm mixture to your high speed blender, THEN add the fresh lemon juice and gelatin right before blending. I’ve found if I add the lemon juice into the saucepan to go through the heating process, it tastes tinny. Pour blended mixture into ramekins or small mason jars and chill in the fridge for at least 4 hours or until set. These also freeze well. Who doesn’t love fat stacks of…pancakes. Oh, you thought I was going to say cash? Most people like that too, but these flapjacks are equally as satisfying thanks to the protein in the quinoa. These freeze up nicely, so what I like doing with pancakes is making large batches, wrapping 4-5 in folds of parchment paper, then putting multiple pouches in a gallon ziplock bag. When morning comes, simply pull out one stack from your ziplock bag and microwave it to thaw. Cook quinoa according to instructions on package. In a large bowl, mix dry ingredients and set aside. In a separate bowl, mix together wet ingredients and stir until combined. Stir in cooled quinoa and mix both bowls together until incorporated. Drop 1/4 cup servings of batter into a non-stick skillet coated with coconut oil. Flip pancakes once bubbles form around the edges. I’ve eaten my weight in this salad over the last few weeks, but I suppose there are worse things I could over-indulge in. This salad takes me back to the days, weeks, months I spent filling in as the temporary onsite health coach for The Breakers in Palm Beach. I would look forward to lunch in the employee cafeteria, The Breakaway Cafe, where their custom salads were the highlight of most days. They were always colorful, filling, and it was the first time in my life I ever had watermelon on a salad. It was revolutionary, and this salad has become my breakaway from reality years later. Although I’m not in Palm Beach anymore, I still have mint-a-plenty in my backyard garden, and a fridge overflowing with watermelon and blueberries. And do you see these colors? More colors = more phytochemicals, so you know this is brimming with nutrition. The mint brings out a coolness that can’t be explained, and the healthy fats from the avocado, pepitas, hemp seeds, and flax oil help absorb the fat soluable vitamins and leave you satiatied. Chop greens to form the base, layer with all remaining ingredients and drizzle with flax oil on top. Enjoy immediately!